For most livestreams, the biggest single element that visually separates them from live TV broadcasts is the graphics. At this stage, the majority of prosumer grade equipment being used for online broadcasts is pretty good. Once compressed, a $5,000 camera is virtually indistinguishable from a $50,000 broadcast camera in most situations. Livestream-grade broadcast gear (e.g. TriCaster and 3Play) has reached the point where the people using it have more of an effect on the end result than the equipment itself. Frankly, I've seen control rooms in major league facilities (I'm talking about you, Qualcomm Stadium) that required a larger crew and more money to achleive far less than what's possible from a TriCaster 455. There is one very significant exception. Live streams rarely have graphics that stack up to what you would see on ESPN. In fact, many webcasts still suffer from graphics packages that scream low-budget. Since the quality of a graphics package dictates the perceived value of the production, sponsors don't always take live streaming as seriously as they should. While fans of our events lose it when their events are tape-delayed, especially when Supercross is delayed 12 hours to air on CBS, sponsors still see value in TV and all the fluff surrounding it. Why does this still happen? Why don't sponsors see the full value of live streaming? To paraphrase one of my friends who sells old media, "Why buy old media? 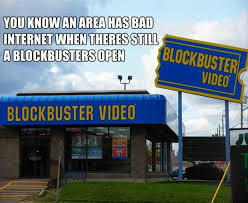 Because anyone who's a badass buys old media." No doubt, unless you are the marketing director for a discount brand, you want your sponsorship to say, "Hey look at us, we're a badass. Just look at the badasses we associate with." And lets face it, those generic static graphics that ship with your TriCaster are not badass. Once you've nailed the fundementals and have a solid product, nothing states you're a badass production like great graphics. Have you experienced LiveText? Let me rephrase that. Have you found yourself in tears in the midst of a production because every graphic you created just disappeared when this cheap poorly built piece of crap called LiveText crashed just when you were trying to go live? You're not alone. LiveText hates everyone's production equally. The problem is, the available alternatives to LiveText are pretty pricey--a ChyronIP or Compix system costs almost as much as what you paid for that beloved TriCaster. And that doesn't include the cost of programming a custom graphics package. At Adrenaline Garage, we tried a number of different options, but never expected the best one we found would be free. Yep. FREE. CasparCG is an open source broadcast graphics platform. 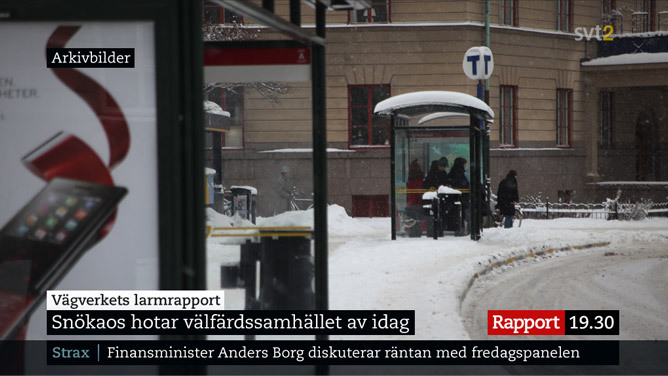 It was developed by the Swedish Broadcasting Corporation (“SVT”) which is the license-fee funded public service television broadcaster in Sweden. And while in the US, when we hear public television, we think stodgy minimalist graphics that haven't been updated since the Clinton Administration, the fact is, SVT is really quite slick. SVT is more like the Ikea of public television than C-SPAN. While you might not expect FREE software to be awesome, it's good enough for SVT to use on each of their six national channels. In our minds, we have not seen a competive product with such a complete, powerful and flexible feature set. And did we mention, it's free? Once we got over the free thing, we thought it was time to see how it stacked up against the competition. What we found was that CasparCG, due to it's open source nature, was powerful enough to handle any situation we could think of. In our case, we discovered needs we never knew we had, now that we weren't limited to one channel. And thanks to the powerful API, we had the tools to create custom graphics and graphic control clients for any situation we could imagine. For our needs, CasparCG destroyed its much more expensive competition. But how does it look? Not only could CasparCG easily handle all of our dynamic graphics, it looks better, played smoother, was more reliable and easier to use than all of the options we've tried in the past. We quickly converted another event's graphics package to CasparCG with the same results. I don't think we'll be going back. The primary limitation of CasparCG is that while it is free, you still need hardware to run it, graphics designed and your graphics package programmed. Converting old graphics or building new packages is incredibly easy for any one who uses Adobe Creative Suite. However, most computers that come off the shelf at Best Buy would not make great CasparCG machines and definitely wouldn't have all the hardware necessary to take advantage of all of its great features. Moreover, while there are tutorials available for how to write the code for your own graphics, it's not for beginners, especially if you're hoping to incorporate dynamic data. In this way, CasparCG's power and flexibility is also its curse. Fortunately, if designing graphics, building computers or coding is not among your strong suits, we at Adrenaline Garage can help. Let us build a custom turn key CasparCG setup for you... and save you $10,000 over another system. If you want custom badass graphics for a fraction of the cost, contact us for a quote. Formula Drift had a problem with their live stream. They had exciting content, two cars drifting around corners door to door, trading paint, at 60 mph, but they had a hard time translating how that was a sport. The judging was arcane. The drivers were anonymous. The storylines were getting lost. In partnership with Formula Drift, Adrenaline Garage came up with unique cutting-edge scoring solutions and incorporated classic storytelling techniques to better explain the sport and increase the viewer's engagement. In order to make drifting more engaging as a sport, Adrenaline Garage had to develop a new scoring system. A scoring system has two purposes. The first is to determine, with as little controversy as possible, who won. The second is to communicate and reward the winning characteristics that a sport considers most important. For example, in many action sports, the criteria of the judging system includes such elements as variety, amplitude, difficulty and creativity. Participants are rewarded for performing maneuvers that rank higher in each of those categories. 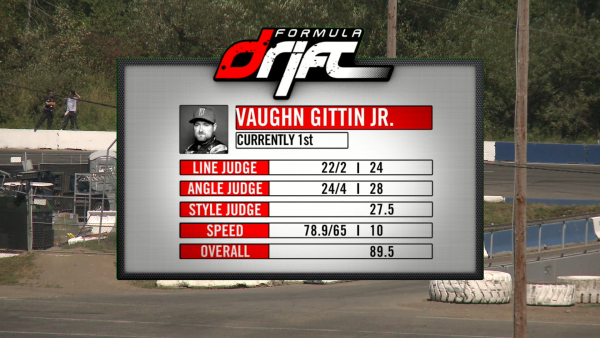 In drifting, the judges had identified crucial elements as Line, Angle and Style. Unfortunately, there was still much disagreement about what performing well in each of those areas meant. "I know it when I see it," was not good enough. We worked with Formula Drift and the judges to come up with a more precise means of measuring each of those elements as well as translating that performance into a concrete score. In the end, the solution was to deduct points at set locations on the course based on how the driver was performing in each of the categories of Line, Angle Style. In this way, the the viewers could immediately see where one run was better than another and the drivers could easily understand what they needed change in order to score higher. Adrenaline Garage created the software that allowed the judges to input that data and quickly tabulate a score. Without any further data entry, the score is then composited into a graphic and displayed on screen. More detailed data is available on the web. The end result was that drivers have a much better understanding of what they need to do to improve and the viewers have a much better idea of what it takes to win. While a scoring system is one method of communicating what's good and bad about someone's run, Formula Drift wanted to preserve the overall impression system used in their tandem battles. However, they still felt the need to communicate more information about why and when one driver was out-performing the other. Our solution was to create a real-time feedback system, complete with custom hardware and software, in which the judges used a dial to indicate which driver was doing better. The output of each dial is fed in real-time to a graph which is synched in the replay. Sounds complicated? Here is what it looks like. The top of the graph represents the lead driver and the bottom of the graph represents the chase. The greater deviation from the mean indicates how much better that driver is doing at that moment. Context is important to any story or sporting event. Context is what turns an ordinary game, something that happens thousands of times each year, into something that viewers pay thousands to see. For example, each professional baseball team plays 162 games in the regular season for a total of 2,430 regular season games. However, one game, Game 7 of the World Series, has special importance because we understand the history and momentousness of the event--its context. In mainstream sports, viewers are inundated with context from numerous media outlets. It's impossible to avoid the context of the Super Bowl in the media onslaught that leads up to that particular Sunday in February. In action sports, we don't have the luxury of an unavoidable media blitz to inform our viewers about the context of our events. Action sports rarely register a blip on the radar of mainstream media. Any context we wish to provide needs to be handled within the broadcast itself. For Formula Drift, we wanted to help viewers better understand when an exciting upset or season defining battle was about to happen. In the big leagues, statistician handle alerting announcers to these stories by feeding them relevant information. We don't have the budget for a staff of statistician so we tapped into Formula Drift's extensive database of previous events to instantaneously pull relevant data on the fly and display it on screen. In addition, Adrenaline Garage built a library of video clips of past battles. Whenever we feel the need to add context, the crew can reach into the library and at a moments notice, play relevant battles from both earlier that day and earlier in the season. 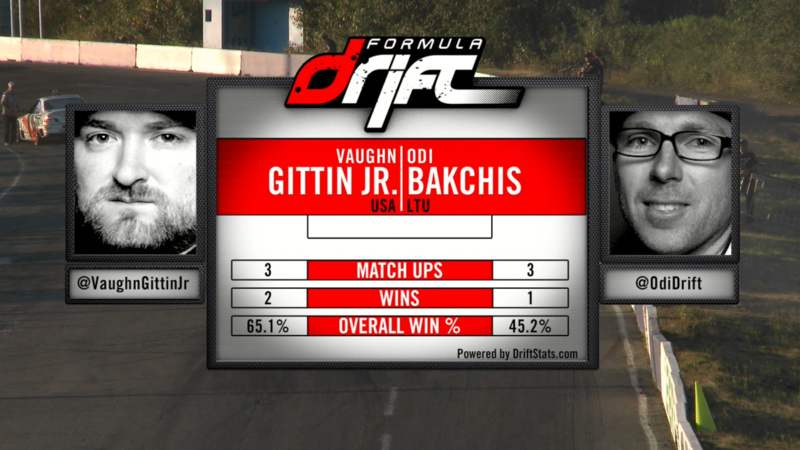 The result of all of these enhancements to the show is that when former Formula Drift Champion Vaughn Gittin, Jr.'s season is on the line and he's in danger of being upset by a spunky driver named Odi Bakchis, who's having the day of his life, our viewers are on the edge of their seats, gripped by the implications of that battle. Need more viewers? Trying to attract more sponsors? If you're looking for an innovative way to improve your webcast's results, contact us today for a free webcast plan. It's the first step to a producting a stunning cutting-edge live broadcast. Sometimes having enough bandwidth isn't enough. There are numerous issues related to the way data flows on the internet that may affect the quality of your live stream. Here is how to diagnose and correct those problems so that you obtain the best possible connection for your live event. Testing your internet connection before your event gives you a much better idea of what you're getting into before it's too late. You'll have more options to correct issues before your setup day than once you go live. Here is more information on how to find out if your internet connection is suitable for a webcast. To summarize, the most obvious identifiable cause of connection issues is that the infrastructure of your internet connection may not be up to the task of streaming. As a rule of thumb, DSL connections only provide--at best--1.5 Mbps upload capacity, which may be enough for a low quality, single bitrate stream of 750 kbps. If you plan on streaming in Adaptive Bit Rate (ABR) HD or to multiple devices, you will need a bonded cable or fiber connection. While not a problem for most business accounts, cable ISPs (especially Comcast) sometimes throttle consumer connections down when they observe significant amounts of bandwidth transfer, e.g. a webcast. This means that while a speed test will show much more available bandwidth, the ISP will reduce the effective bandwidth significantly after a short time in order to reduce your usage. Obviously, this severely affects your stream. Throttling does not appear immediately. It usually occurs within 20-45 minutes of starting the stream. Do a "control" measurement of the location's bandwidth using speedtest.net. Note the results. Conduct a stream with the same bandwidth that you'll use during the event for a minimum of an hour. Stop the stream and conduct a test with Glasnost--a web application that detects ISP throttling--selecting the Flash video option. If you suspect throttling, contact your ISP about ways to possibly resolve the issue. Unfortunately, in our experience, most ISP representatives will firmly deny throttling. Your best option may be upgrading the account or finding another ISP. While your infrastructure may be up to the task of handling a live stream, it's possible to still experience problems when streaming. Sometimes a connection doesn't perform up to its full potential. You'll notice this when your stream experiences problems in spite of tests showing you have enough bandwidth or when bandwidth tests show large fluctuations. In these cases, to resolve this issue, you'll need to determine whether an issue is occurring on your local area network (LAN) or on the wide area network (WAN). Most often, when you are experiencing streaming issues and you know that you should have enough bandwidth, there could be a bad link in the chain of devices providing the connection to your publishing point. This cause of the problem is typically either a malfunctioning piece of hardware or network congestion clogging the route. In order to narrow down the problem, it's best to do a ping test to detect packet loss and then determine where the packet loss is occurring. During the test, if you see a message that states "Request timeout" that means a packet was lost. At the end of the test, you should see a series of lines telling how packets were sent to that site and how much was returned. The number next to the "ms" is the time in milliseconds. Less than 10% packet loss is acceptable and to be expected. If you are seeing more than 10% packet loss, you are experiencing enough loss to affect your live stream. From there, starting with the first server on the list, ping each hop (ip address) individually. Moving out from your location, if you suddenly observe a large number of packets being lost, then you know the problem occurs before or at that address. Once you've narrowed down the possible locations it's easier to determine what the source of the problem may be. If a piece of equipment is malfunctioning or improperly configured, it could easily be contributing to packet loss. If that piece of gear is located before your gateway, in other words is within your LAN, you may have a chance to fix, replace or bypass it. If bypassing the gear does not resolve the issue, congestion could be causing the problem. The classic case of LAN congestion happens when you stream live video perfectly right up until the moment when your event starts. Then all hell breaks loose. This is typically caused by event related usage eating up bandwidth. While upload and download bandwidth is usually allocated independently, and viewers downloading your stream should not affect your upload bandwidth, the start of an event often initiates other bandwidth usage, such as POS systems and members of the media uploading photos and on-demand videos. Of course, if you are monitoring your stream on site, sudden increased traffic on your network would affect that experience while not affecting viewers outside of your network. However, due to background internet usage that's not readily apparent when any device is connected to the internet, it's best to limit usage to only essential users. WAN congestion is caused by traffic outside of your network. In North America, Internet usage peaks between 9PM and 12AM EST. If your broadcast occurs during that window, your stream may be competing with users watching Netflix, Hulu, etc. elsewhere on the web. WAN congestion may occur at any time, which is why it's essential to test your connection at the same time of day, and ideally the same day of the week. Hopefully, these tests will indicate if your streaming path is subject to congestion. If you're using a cellular connection to broadcast your stream, your ISP may throttle your bandwidth to handle more connected devices seeking service from the local cell tower. The drop in quality may be caused by the growing crowd attending your event. If you do have LAN congestion, you have two options, either kick users off your network until the your stream improves or use a dedicated connection where you don't have to share bandwidth with other users. In either case, the goal is to obtain a connection with sufficient overhead that won't fluctuate during your event. Alleviating WAN congestion is a little more tricky. Your best option is to choose a different publishing point, which you can obtain from your streaming provider. Ideally, you should choose a publishing point closer to your location. However, if the bottleneck is occurring between between you and the closest location, your next best option is to choose a publishing point that avoids the troubled area. For example if you are in Chicago and your publishing point is in New York City, you may want to change your publishing point to Los Angeles. 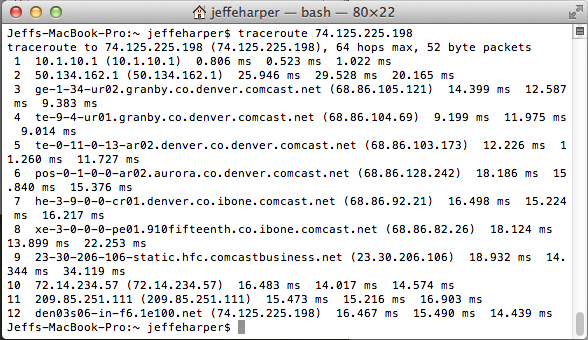 You can check that you've avoided the bottleneck by running another traceroute and seeing if you've avoided the troubled hop. Lastly, engineers working for the owner of the troubled infrastructure may be able to route traffic differently so that the bottleneck becomes less congested. Finally your best option might be bypassing your internet connection altogether. We'll include options for doing that as well as how to get an internet connection to remote locations in a future article. In the meantime, if you have a challenging streaming situation, feel free to contact us about a solution. We have years of experience bringing livestream ready connections to some of the most difficult and remote locations on earth. Can your internet connection handle your live stream? Are you sure? Adaptive Streaming: An essential you never knew you needed. Do you have a live event in Greater Los Angeles Area and need an affordable live webcast solution? While we've always been able to travel to anywhere on the planet, Adrenaline Garage now offers a NewTek TriCaster 455 with a highly experienced operator local to your area. No need to pay for flying in equipment and crew--we've got you covered in Southern California. While the TriCaster 455 will make it look like you spent much more money on your event, it's our operators that really make the difference. Our crew has operated TriCasters for some of the biggest events in action sports including ESPN's X Games, Feld Motorsport's Monster Energy Supercross, IMG's Formula Drift as well as numerous other action sports events. We have the experience you need to produce a sophisticated live sporting event. Best of all, at only $1100/day including operator, you'll have plenty of budget left over. 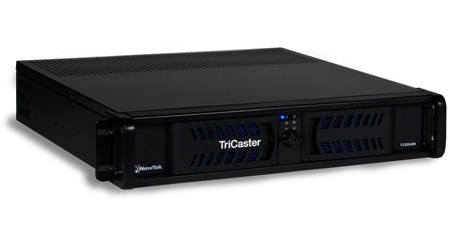 Of course, if your event needs more cameras, check out our TriCaster 855 Rental. Contact Adrenaline Garage to reserve your TriCaster 455 today. Too often during a live webcast, the production needs to take a break. Instead of keeping the show going, the viewers see a graphic with the annoying phrase, "Up Next..." or loop of commercials. Inevitably, viewers drop like flies. When the program resumes, the webcast needs to rebuild its audience. Rarely is a production able to recapture all the viewers it lost, as many viewers moved on to more engaging entertainment. As a result, your production throws away valuable minutes. We recently had a situation where, due to weather, the event needed to start late. It's an all-too-frequent problem in live webcasts. And, as always, the viewers were tuning in right on schedule. Whenever there is no streaming content, (or just the ambiguous "Coming Up!" graphic), viewers become immediately frustrated when they wonder when the event will start. Many click on something else. Others begin pursuing their literary careers as hateful little trolls. In any case, whatever your treasured viewers are up to, it won't be lending a hand to make things run more smoothly. Fortunately, we were already streaming a pre-show and merely utilized our "Plan B" to seamlessly cover the time until the event could get underway. Throughout the pre-show, we continued to pick up viewers, encourage social engagement and build the audience for the main event. The pre-show literally saved the overall production. Without it, we would have been broadcasting to a much smaller, much angrier audience. Pre-, post- and/or halftime shows are some of the easiest and most inexpensive ways to improve your return from a live sports webcast production. Typically, all the elements to produce a framing show are in place: equipment, talent and infrastructure. All you need to do is script it and produce it. While filling time is essential, there are a number of additional benefits from framing shows. Here are some goals to help you maximize the results you get from your live production. Build an Audience: Live streaming has a unique problem. In television, if you begin watching before the start of your program, there is already content on the channel. Your audience is entertained until the program starts. In live streaming, there isn't usually another program leading in to your event. Rather, most webcasts are preceded by placeholder or clock. Your audience doesn't want to sit around for that. Streaming content before your primary show allows you to capture early viewers and build an audience before your event begins. Educate your audience: The more a viewer understands a sport, the athletes and their stories, the more engaged they will become. That is the reason NBC produces so many bios of olympic athletes for their Olympic broadcasts. In webcasts, hopefully new viewers are constantly tuning in. When they do, it should be the goal of every live stream to advance neophytes from casual observers to passionate enthusiasts. If we're successful, we'll build an audience for future webcasts as well as increase their engagement during the current broadcast. Since there is a limit to the extent that a webcast can delve into the athletes' stories during the events, the ideal time is to do this within the framing shows. Interact with your audience: It's a proven psychological phenomenon that "people have a greater tendency to continue an endeavor once an investment in money, effort, or time has been made." It's called the sunk cost effect. One way to increase one's investment in your production is to encourage them to interact. By interacting, they are investing in your production, becoming more engaged and, inevitably, watching for a longer period of time. Pre-shows are an ideal time to get your audience to interact with your hosts and athletes. Get the word out: If you channel audience interaction through social media, it has the added bonus of broadcasting your viewer's activities to all of their friends. We've seen that on average, each comment, share or like attracts two additional viewers. Thus, through interaction via social media, your viewers are advertising your production and growing your audience. Don't lose your audience. About the only thing more destructive to your audience than a lock down shot, placeholder graphic or commercial loop is to simply unplug your encoder and go to lunch for an extended period of time. In either case, as soon as you stop your organized content, you'll begin hemorrhaging viewers. The first rule of any half-time of mid-event programming should be DON'T LOSE YOUR AUDIENCE. Keep the program running with analysis, insight, highlights, interviews, vignettes and giveaways and you'll have a much larger audience when you resume. Keep them entertained. Better yet, make half-time something to look forward to. What will appeal to your audience is unique. For the Tampa Pro, which serves a young group of skate enthusiasts, it's watching teens slog through a slimy moat while being pelted with eggs. While watching your audience members risk hepatitis infections might not be the right solution for your event, it's highlight of each of their broadcasts and actually causes a spike in their engagement. Do a complete reset: Many of your viewers will begin watching your webcast sometime after it began. It's frustrating and confusing (and less engaging) for them to not know what has happened. A half-time show affords you the ability to completely reset your show by playing highlights and recapping story lines in order to orient any viewers who may have missed the most important moments. It will not only make for more satisfying viewing, it will also improve engagement. Reward your audience for involvement: One of the easiest ways to ensure people will continue a behavior is to simply reward them for it. If social media has demonstrated nothing else, it has shown that people crave recognition. Recognizing viewers for quality interaction affirms constructive behavior and encourages other viewers to do the same. Capture eyeballs you missed: At first, it may seem counter intuitive to put much effort into a post show. The event is over, checks have been handed out, the athletes have gone home. How many more minutes are people willing to watch? On the other hand, there are always a large number of interested viewers that missed your production. A post-show enables you to quickly create content that will capture eyeballs after the event. After all, highlight videos always make great content. Since you have already recorded the best moments in your DVR, why not put together a show to capture those viewers that missed your event and capitalize on the investment you've already made. All you need to do once the show is complete is export it and upload it to YouTube. Set-up the story for next time: Typically, a sporting event is not isolated happening. A post show allows you to reframe the story and prime the viewer for the next broadcast. As long as you have their attention, you may as well construct an advertisement for your next event. What do you think? What are some other effective uses of pre-, post- and halftime shows? Why are live streams great for events? They take an on-site audience of several hundred or a couple thousand and grow that audience to tens of thousands, hundreds of thousands or millions. Why is that awesome? If what sponsors want is access to your audience, then live streams make your event exponentially more valuable. And yet, many events with live webcasts are leaving sponsorship dollars on the table. This is happening because events spend the money to produce a broadcast, but for whatever reason, don’t understand all the possible ways they can use it to create value. Live online broadcasts are a new frontier. As connected devices emerge and evolve, there is an ever growing number of ways for your audience to interact with your sponsors and create value in the process. We thought it was time to put together a list for event organizers so that they can get a handle on the current possibilities as well as a small glimpse of the future. That said, all sponsors are different. One sponsor may care more about impressions while another cares more about messaging. The key to maximizing value is not simply using the latest technology, but customizing a package that precisely fulfills the sponsors needs. Choosing the solutions that best suit your sponsors and integrating that into your overall package will ensure that you maximize the event’s potential. This is only a start. A good producer will be able to generate even more ideas to suit specific sponsors while maintaining an engaging experience for your audience. Getting a producer involved before you’ve signed contracts will ensure that your event isn’t leaving money on the table. This segment, produced by Adrenaline Garage for ESPN's Winter XGames and Texas Pete shows how it's possible to combine many of the elements discussed here. Graphics are the easiest way to incorporate a sponsor into a broadcast. Placement opportunities for sponsor logos include leaderboards and replay wipes. As these graphics are used frequently throughout your broadcast, you will generate a ton of impressions. Every event has downtime. Whether it’s between rounds or before the event begins, there is always time when no athletes are on the course. This is the perfect opportunity to interview a sponsor’s representative about their product or why they are involved with the event. Unlike banners, graphics and bugs, this allows a sponsor to really communicate their message to your viewers. Every viewer sees the webcast player. It is your webcast’s most valuable real estate. For sponsors that are more concerned with impressions than messaging, this is the best way to maximize their exposure. By creating entertaining video content for sponsors, you create more depth than placing a logo. We once shot a cooking segment with a couple athletes and included it between heats on behalf of an organic baking supplier. Be creative, make it entertaining and appropriate for your audience and you’ll create a lot of value. Sponsors derive value every time their brand is associated with your event. To ensure that your sponsors are included in earned media before and after the event, include their name in the title of an award. My personal favorite is creating an Audience Choice award. When viewers vote for their favorite athletes they will inevitably interact with the brand, creating even more impressions. There are numerous ways to involve sponsors through emerging technology. Possible examples include branding a custom mobile application or fantasy league. Not only will it generate a lot of impressions, it will also encourage your audience to interact with the brand. For further engagement with the sponsor, promote the sponsor by exclusively hosting the application on their website. Some brands will want to see proof that their sponsorship generated results. We’ve created a way for viewers to download coupons or vouchers directly through the player. If you can’t afford that, have your announcers encourage your viewers to “like” your sponsor’s Facebook page or go to a web site to sign up for a special offer. One of the most common ways to include sponsors in your production is simply including their logos onscreen while an announcer reads a scripted announcement. This associates your sponsors directly with your event. Giveaways are a classic option for live events. In a properly executed giveaway, the event’s host will have the time to go over the product’s features, benefits and give a personal endorsement while heightening viewer interest through the promise of possibly winning. A giveaway can communicate the same information as a commercial while engaging more viewers and increasing the brand’s credibility. Commercials are incredibly popular with sponsors because a commercial’s value is readily understood and measured. That said, we’re working to make commercials even more effective by allowing sponsors to measure the exact number of people that watched each commercial. In addition, we are enhancing commercials to allow viewers to “like” a brand’s Facebook page or take another action without leaving the webcast. In the future, we’ll allow sponsors to target their commercials according a wide range of metrics. To find other ideas about how to make your event more appealing to sponsors, download our FREE 20-page webcast strategy guide. Please share with our community. What are some other ideas that you have to generate value for sponsors with live webcasts? Do I need an iPhone strategy for my webcast? Since everyone (or 35% of us, but who's counting?) now has a mobile device, do I need to invest in a mobile device strategy for my live webcast? Before I answer that question, I want to take a step back. I believe that technology is a tool. Tools are not always universally suitable. A hammer isn't very useful when you need a saw. Likewise, some technologies might be required in one situation, but are useless in another. Before one considers whether they need to include a technology in their live online broadcast strategy, they should first ask, what am I trying to achieve? As I've stated before, we believe that in order to generate the most value from your webcast, you need to focus on maximizing the total number of minutes that viewers watch your live broadcast. The more minutes viewers watch, the more impressions the webcast generates and the more value your broadcast has to advertisers and sponsors. Moreover, at Adrenaline Garage, we know that every event has a limited budget. Therefore we recommend that events invest in strategies that will deliver the greatest ROI. In this case, that means choosing options that generates the most minutes for the smallest investment. So let's rephrase the question. 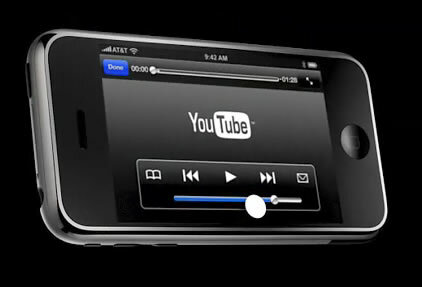 Will investing in a mobile device strategy increase the number of minutes that viewers watch my live online broadcast? And secondly, with all the great things Adrenaline Garage is working on, does that strategy deliver the best ROI? The answer to the first question is "Yes." However, it might surprise you to discover that a mobile device strategy comes in dead last on our list of the Top Ten Things You Can Do Now to Get Better Results From Your Live Webcast. Why? One of Steve Jobs' greatest insights, in my opinion, is that the end user cares more about the experience than they do about buzz words, technologies and specs. When we talk about an iPhone strategy, what we really ought to be talking about is experiencing your event on a small screen vs. a mid-size (computer monitor) or large (TV) screen. The fact is, watching a 3-hour event on a 3-inch screen is not a very good experience. As a result, not a lot of people are willing to do it, no matter how much your viewers love their mobile devices. And the numbers (and minutes watched) reflect this. But don't take our word for it. It turns out that other people have noticed that as content gets longer, the viewer prefers larger and larger screens. Why? I think it's because sitting on a couch is the most comfortable way to watch 45 minutes of video. Take a look at this infographic. Yes, yes, more and more people are watching video. Yes, yes, they are using lots of different devices. But let's consider the question at hand, does investing in the small screen experience deliver the best ROI? Our numbers indicate that our viewers' behavior nicely parallels Netflix's viewers. That is not surprising since live webcasts and Netflix are different types of long form content. In fact, our average viewing time (AVT) is very similar. The most interesting thing about this graphic is the consumption by device. As we stated, the longer the video format, the larger the share for the larger screens. In fact, while mobile phones and tablets represent relatively small share of YouTube viewers, they represent an even smaller share of longer form video viewers. Like with Netflix, in our events, mobile devices represent only 2-3% of viewers. This infographic hints at something else that we've noticed, which is the inverse of what we stated above. Not only do viewers prefer larger screens for longer content, larger screens tend to encourage greater engagement on their own! In fact, we've seen that the most engaged viewers of live webcasts tend to be the viewers watching the event on the largest screens. While it's hard to make a direct cause and effect relationship, it would follow that you would create more value for your live broadcast by encouraging viewers to watch on larger screens rather than smaller ones. Considering that such a small percentage of viewers use mobile devices to watch long form content, and large screen viewers are more valuable than small screen viewers, we conclude that while having a mobile device strategy would add value, it does not deliver the same ROI as investing in large screens. What can you do to enhance your large screen strategy? That's a topic for another blog post. Or, if you can't wait, give us a call. What do you think? What's more valuable for your events, a small screen or large screen strategy? For action sports events, reaching hundred of thousands of viewers around the world through a live webcast promises enormous potential. Most event organizers, however, currently lack sufficient understanding of live online broadcasts to optimize and fully monetize them for their event. Without that knowledge, the return on investment, both in terms of audience and sponsorship, is not yet close to what it could be. Lower returns have a direct effect on the long-term success of the event. 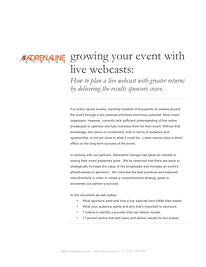 Learn how to plan a live webcast with greater returns by delivering the results sponsors crave. In working with our partners, Adrenaline Garage has taken an interest in seeing their event properties grow. We’ve observed that there are ways to strategically increase the value of live broadcasts and increase an event’s attractiveness to sponsors. We collected the best practices and explored new directions in order to create a comprehensive strategy guide to accelerate our partner’s success. 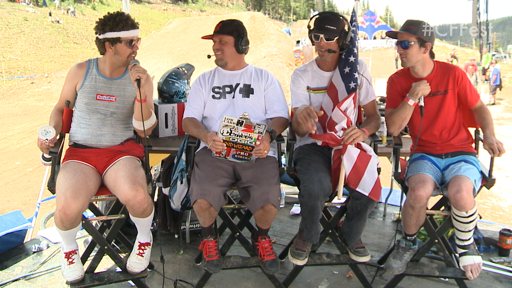 What sponsors want and how a live webcast best fulfills their needs. What your audience wants and why that’s important to sponsors. 7 criteria to identify a provider that can deliver results. Adrenaline Garage has increased webcast audiences by almost 4000% and been recognized as the world-wide leader in webcast quality. Find out how we did it and maximize the results for your live webcast. Download 20 pages of tips, insights, best practices and additional resources to attract the most viewers and get the most return from sponsorships. In the past, the only way to maximize a sporting event’s audience was TV. 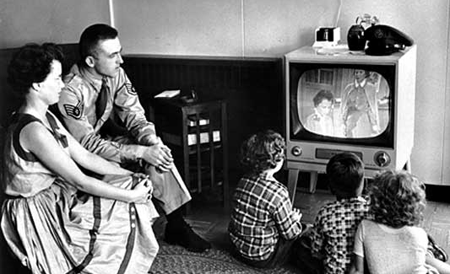 As a result of it’s near ubiquity in every household, TV allowed events to transcend the venue and reach a national audience. If an event wanted to attract large non-endemic sponsors, like Jeep, Visa or Honda, TV coverage was essential. Unfortunately, TV's expense is overwhelming. As production and ditstribution is paid for by the events, almost none could afford live coverage and only the largest could produce a tape delayed show. In recent years, the proliferation of high speed internet connections and dramatically cheaper production equipment has given rise to another option--live online broadcasts. But the question remains, is a live webcast better than purchasing TV time? Although Adrenaline Garage has produced a number of TV shows, we thought we'd outline five ways that we think a live stream of your event is more effective than tape-delayed TV. In years past, broadcast standard production meant very high production costs for even unimpressive live shows. Once the event was produced, distribution options were less than ideal. Events could either pay large sums to buy time on a national network or create deals with a patchwork of minor networks across the country. 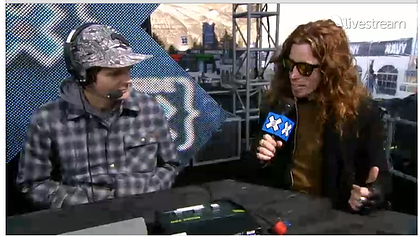 Today, even large productions, such as the X Games, are using smaller, more cost effective production equipment. Internet streaming is much cheaper and convenient than purchasing air time. Lower costs allow organizers to re-invest in their events by providing larger prize purses and better courses, which in turn creates more interest in the event. Events have a very short shelf life, and are most valuable while they are occurring. Once the results are known, the desire of your audience to see every run is sharply reduced. Your audience will only want to see highlights rather than each individual run. During the event, there is a desire to see everything and not miss a second, as the outcome is uncertain and almost anything could happen. No one wants to miss the touchdown, home run or never before landed trick. This dramatically increases audience engagement and advertising opportunities. In addition, internet distribution permits interactivity in a way that TV could never accomodate. Emailing the announcers, chatting with fans from around the world and voting on the best trick are just a couple ways that events have successfully involved their viewers and increased the engagement. In the age of instant communication, "tape-delay" is a dirty word for the most passionate fans. For them, a tape delayed TV production means that while they would like to see the event live, they are forced to read about it online after the fact. When the event finally airs, they pay little attention to the TV broadcast because they already know the results and have seen the best moments on YouTube or Vimeo. Coincidentally, the core audience--the ones not tuning in--are the ones of most interest to the sponsors. These viewers have the most invested in your event, are the most likely to be a part of the target demographic and most likely to respond to your sponsor advertising--unless, of course, you're trying to reach Sunday afternoon couch potatoes. It Has a Larger Potential Audience. The very nature of webcasting increases the size of your audience. TV requires that your audience have access to a TV and the right channel. On the internet, virtually no walls exist. Viewers without access to FuelTV, ESPN 7 or in another country still have access to your production. With the proliferation of connected devices, your audience doesn’t need to be in a location with a TV and can view it virtually anywhere. It's More Exclusive and Therefore has More Value. YouTube has destroyed TV exclusivity. It's so easy for any viewer at your event to film and distribute--or event stream live--the best moments, long before your TV show airs. As we've mentioned, this only decreases the value of your production to adverstisers as you no longer have a monopoly on the content. During an event, the live broadcast has exclusivity. If your fans want full coverage, your live webcast is the only source. Even if people stream the event from their cell phones, their live coverage will never compare to the quality of the live webcast. A live webcast is the best way to preserve and enhance the value of your event for sponsors. What do you think are the various strengths and weaknesses of TV and live webcasts? In the past few months, we've had a number of people tell us that the technology we use for our player and streaming video, Adobe Flash, is dead. HTML5 is the new streaming technology on the block and all the cool kids have signed on. We should dump our old Flash based player and scoring system and start writing HTML 5 code today. If we insist of delivering webcasts using a Flash player, we're signing our death certificate. If Steve Jobs says so, who could possibly disagree? Well, we did. It just didn't make sense. New technologies take a long time to penetrate the market and become standard. Old technologies take a long time to disappear. We still see IE6, a browser released in 2001, pop up in our analytics reports (in about 1 out of every 200 visits as a matter of fact). How was something so new going to turn Flash into a dinosaur overnight? There seemed to be an awful lot more hype than rational thought going on. Just because "everyone is doing it" and it was the latest fad, we didn't think that was necessarily the best reason. Someone needed to stop the hype train and ask, "Is HTML5 a superior technology for our customers that necessitates serious new investment? How does one define superior technology? And, is everyone really using HTML5?" The problem all started when Apple announced that it wouldn't support Flash on its iOS devices (iPhone, iPad, iPod Touch). Rather, Apple said it would support a new technology, HTML5. Since those were the hot devices in the news, developers who didn't want their clients to think that their sites and apps were incompatible, immediately freaked out and started jumping on the HTML5 bandwagon. Then, Jan Ozer, one of the foremost authorities on streaming media, posted an article on his blog entitled, The Five Key Myths About HTML5. He comes to the conclusion that the value of HTML5 is that it forces you to, "encode in more formats that offer no advantage over H.264, and play on fewer computers, and distribute your on-demand video with less quality of service, fewer features and less ability to monetize than you can with Flash or Silverlight. Oh, and forget live." Forget live? Whaaat? But Uncle Steve told us his Jesus phone (and all related technologies) was the very bestest. Seeing as how we own an iPhone/iPad streaming solution, we were a little shocked too. Time to get a second opinion. We tracked down more information about live streaming with HTML5 over at the Longtail Blog, developer of perhaps the most ubiquitous video player on the web today. HTML5 does not specify a streaming mechanism yet. While this is being worked on, it means that live, DVR and long-form video content cannot be played using a video tag. It turns out that without an agreed upon standard for web video, each vendor has gone ahead and come up with their own solutions. While each solution uses the HTML5 <video> tag, the respective browsers are each only compatible with a different video codec. As you can see, there is no one perfect video codec. Depending on the browser your users select to view your video, they will require a different codec. Moreover, the above chart is only concerned with video on demand. For LIVE video, there is even less support, e.g. Chrome does not support live h.264 streams, but does support live WebM streams. It's also interesting to note that Internet Explorer currently supports no HTML5 video, live or on demand, yet it is the most commonly used browser in the world. Yes, but is HTML5 Superior? While the proponents of HTML5 have a number of reasons, we have a singular goal: To deliver the most robust and widely accessible webcasts on the planet. Following that logic, we believe that the most important consideration for events is making their stream compatible with the largest possible number of devices. In our mind, the emergence of iOS devices (iPhone, iPad) and Apple's refusal to allow compatibility with Flash is what created this hype around HTML5 in the first place. Assuming that the performance of each technology is similar (to which Ozer says Flash has an edge), compatibility should then be the primary consideration for determining superiority. With all the press surrounding the iPhone and iPad, surely events without an HTML5 strategy would be missing out on a huge percentage of viewers. We needed to find out which technology, Flash or HTML5, is compatible with the most devices? According to the Ozer, if you encoded multiple HTML5 streams, you would still only be able to reach the 40-50% of browsers that are HTML5 ready. Using only one codec decreases compatibility further. Aside from the hassle, encoding multiple streams creates other problems. Each encoded stream consumes encoder capacity, which in turn requires more encoders. In order to reach 99.5% instead of 40-50% of devices, you would need to encode at least 3 streams (Flash, WebM and h.264). Using dynamic streaming with three bitrates, you would have to encode 7 streams and use multiple encoders. In addition, more streams require more bandwidth. Using a moderate bitrate to reach the most possible viewers, an event would require at least 2.4Mbps, which is significantly more than a T1 line can handle. Encoding HD streams with dynamic HTML5 streaming would require at least 10Mbps upload capacity and 16Mbps to be safe. While it is possible, that much bandwidth at a location is rare. Therefore obtaining sufficient bandwidth could significantly increase the cost of an event. This is a lot of trouble when Flash works perfectly well on 98.8% of computers. iOS devices only make up only a little over 1% of overall web browser traffic. It seems to us that, in addition to many complications related to encoding, the cost, the lack of features and relatively worse user experience associated with HTML5, dumping the majority of your audience to capture the small percent of iOS users is pretty foolish. In September, Adobe released Flash for some Android phones. Around six weeks later, Flash had been installed on 1 million Android devices. As more and more devices have become compatible, the install rate has accelerated. In other words, Flash webcasts are possible on mobile devices. Actually, we've been testing Flash on Android devices since the beginning of August. In the most interesting test to date, we streamed an unmodified webcast to our out of the box player on our Droid. It worked perfectly and I have to say, performance was impressive. While the video was not as smooth as you would see on a desktop, there were very few dropped frames and the battery life seemed no different than when using the browser normally. We were even able to log into and use our chat module. Pretty incredible considering that we did nothing out of the ordinary to make the webcast compatible with the phone. We definitely believe HTML5 penetration in browsers will grow. We also believe that you shouldn't ignore iOS devices. Our belief is that at this time, with Flash compatibility on almost 99% of devices, including a growing number of mobile devices, the time, expense and complications associated with using HTML5 as your primary video technology aren't worth it. Our recommendation is that clients should still offer the complete experience via Flash. In addition to the widest compatibility, it offers the most comprehensive feature set. As the most popular streaming solution available and an extensive amount of software and hardware already developed, it will be much cheaper. If you are interested in reaching users on iOS devices, we suggest creating one HTML5 stream and a simple player until HTML5 becomes a much more mature technology. 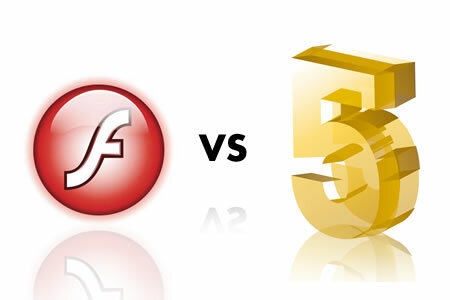 How would you compare Flash and HTML5?